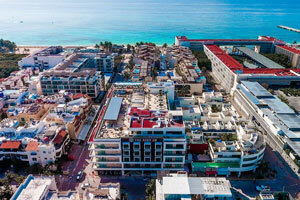 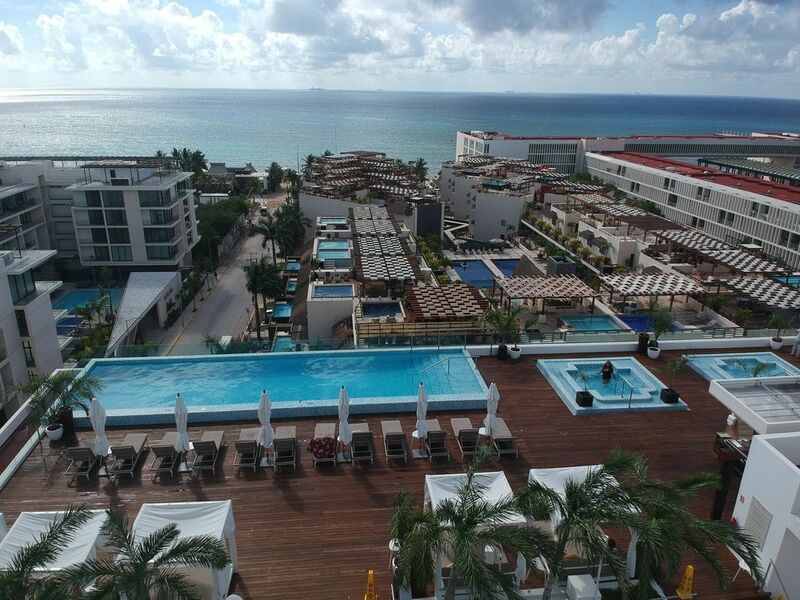 The Reef 28 Adults Only Resort located in Playa del Carmen offers a romantic retreat steps from the beach and Playa del Carmen’s bustling 5th Avenue. 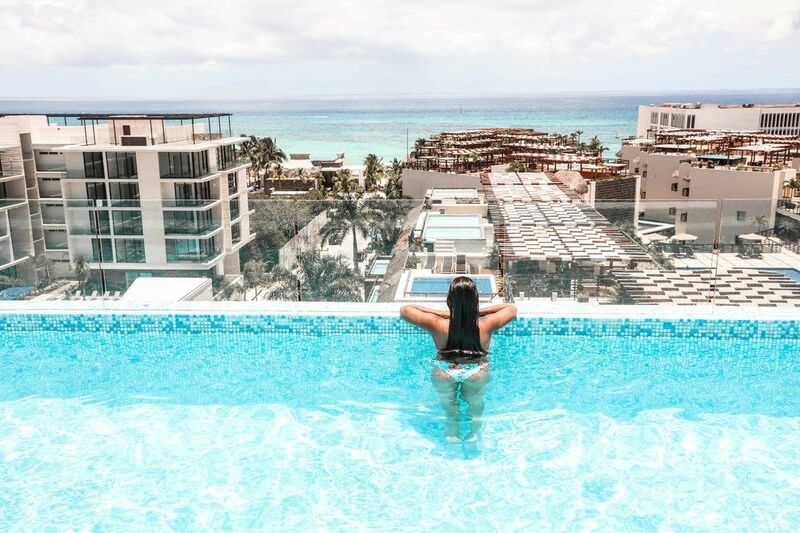 Guests can enjoy the best of both worlds: easy access to beautiful Mamita’s Beach and chic guest rooms and suites with high-tech features and complimentary Wi-Fi. 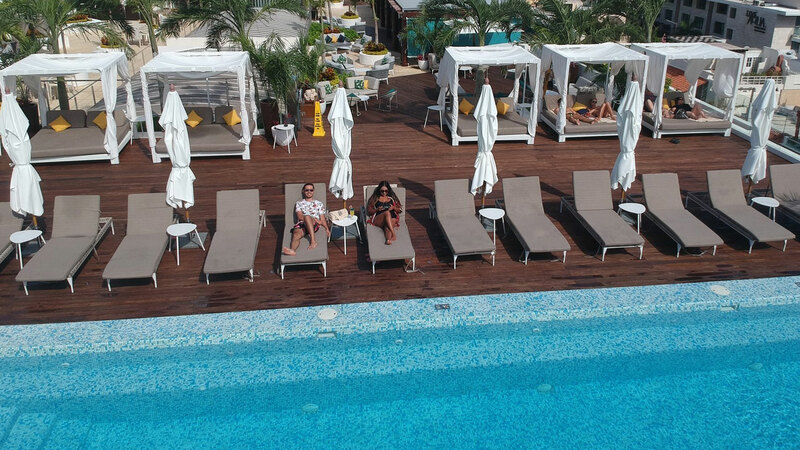 The Reef 28 is a modern oasis on the Riviera Maya. 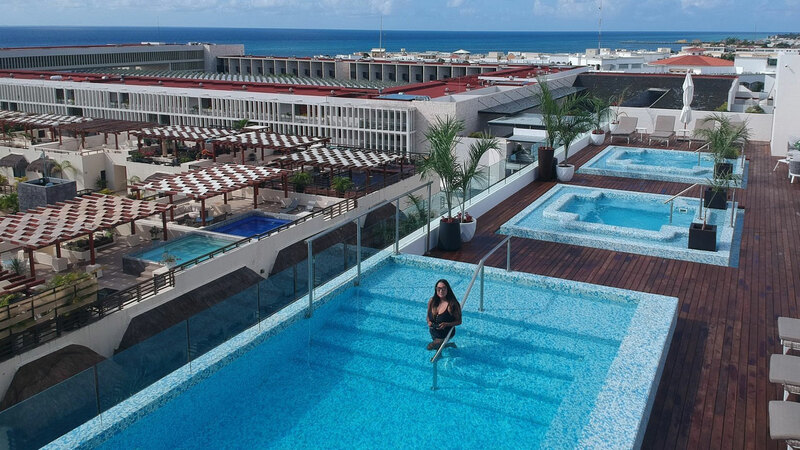 The adults-only hotel pampers couples with contemporary cuisine, a high-energy rooftop bar with evening DJs, and must-have amenities for fun and fitness. 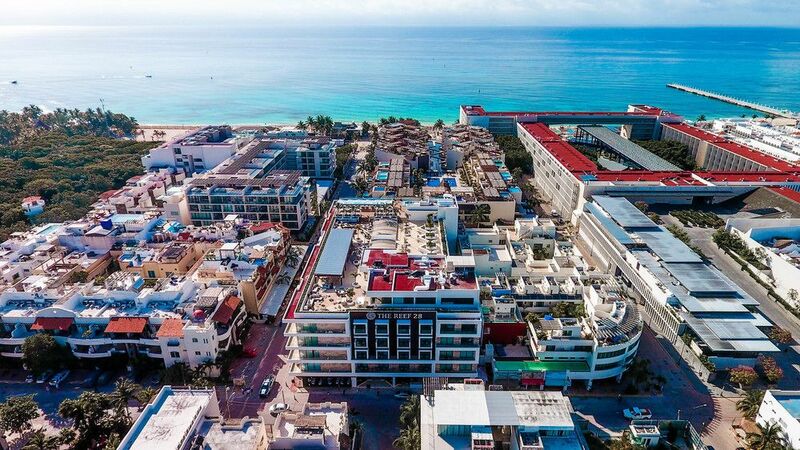 Located in the heart of the Riviera Maya just 45 mins south of Cancun, Playa del Carmen is a charming coastal town known for its crystal-clear turquoise waters and relaxed, low-key vibe. 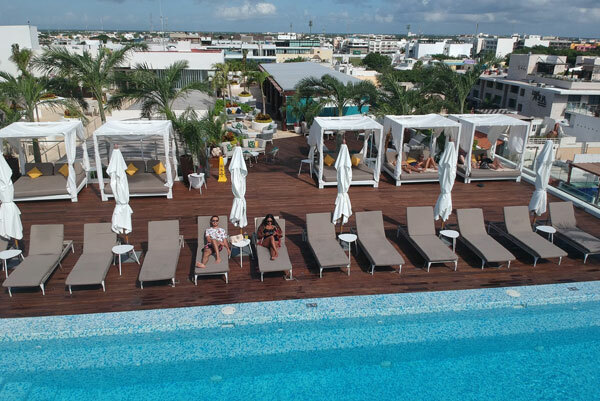 Chic luxury, all-inclusive convenience and boutique style come together to create accommodations unlike any other in The Reef 28 Adults Only Resort Adults Only Playa del Carmen Resort. 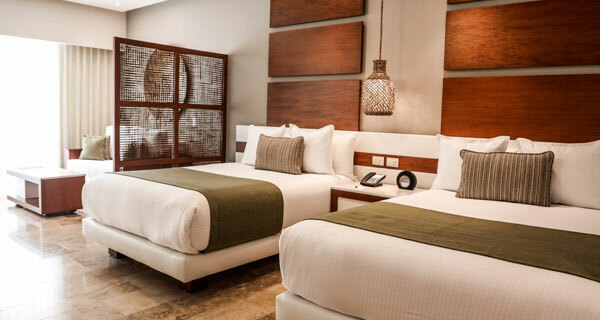 Each of our 16 Master Suites and 104 Junior Suites offers the essentials necessary for a relaxing, ultra-comfortable stay. 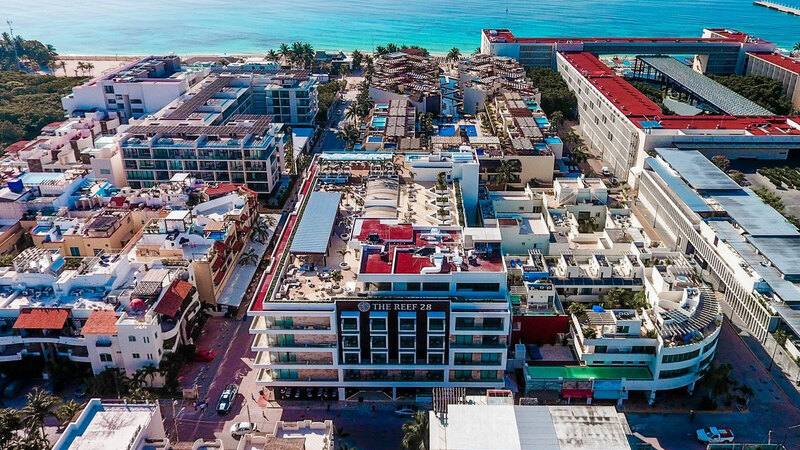 Reef 28’s boutique-style amenities include a personalized check in with champagne, great recreation opportunities such as a special rooftop oasis with a pool and bar overlooking the Caribbean, a full-service restaurant, fitness center, hair salon, and private on-site parking. 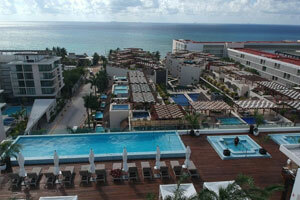 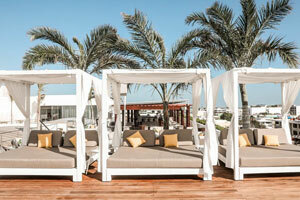 In addition, the hotel has a 24-hour room service, front desk, concierge service, and a beautiful lounge lobby area. 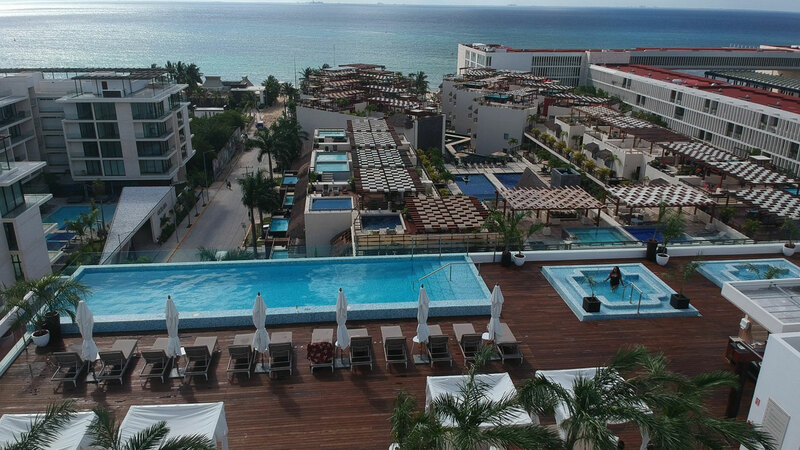 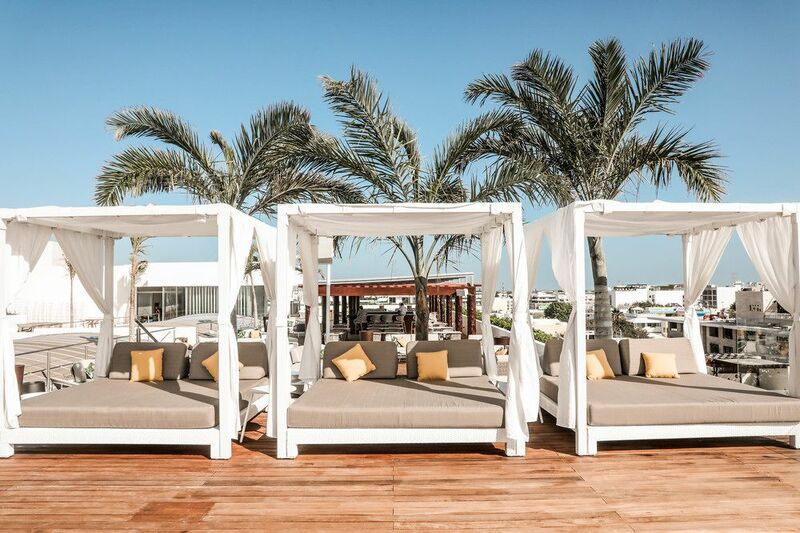 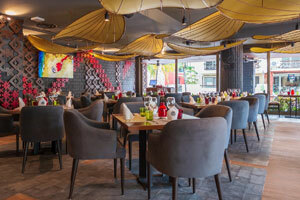 Opt for our all-inclusive option and enjoy fresh, modern cuisine for breakfast, lunch and dinner, as well as cocktails at our exclusive rooftop pool bar and lounge, evening entertainment, use of bicycles, and access to of our well-equipped fitness center.